International Yoga Day 2017 is celebrated across the world. PM Modi leads celebrations in Lucknow. Marking the third International Yoga Day, Prime Minister Narendra Modi took part in a programme along with Uttar Pradesh Chief Minister Yogi Adityanath at Ramabai Rally Ground in Lucknow. The UN International Day of Yoga is celebrated every year on June 21. In one of the biggest events in the country, the Prime Minister performed asanas along with other participants in Lucknow. India re-nominates Dalveer Bhandari for another term as International Court of Justice judge. India has re-nominated Justice Dalveer Bhandari as its candidate for another term as judge at the International Court of Justice (ICJ), the principal judicial organ of the UN. Bhandari, 69, was elected in April 2012 during simultaneous balloting in both the General Assembly and the Security Council to a seat on the International Court of Justice, which is also known as the World Court and is based in The Hague in the Netherlands. His current term runs through February 2018. 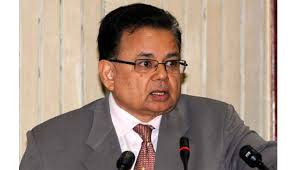 India filed Bhandari’s re-nomination on Monday with UN Secretary General Antonio Guterres here, well ahead of the July 3 deadline. The ICJ elections will be held in November and if elected, he will serve a term of nine years. During his term at the ICJ, Bhandari has been engaged actively in the work of the Court and has delivered individual opinions in eleven cases covering a broad spectrum of subjects such as maritime disputes, whaling in Antarctica, crime of genocide, delimitation of continental shelf, nuclear disarmament, financing of terrorism and violation of sovereign rights. First air corridor between India and Afghanistan inaugurated by Afghanistan President Ashraf Ghani. Afghan President Ashraf Ghani has inaugurated the first Afghanistan-India air corridor during a ceremony at the Kabul International Airport—a direct route that bypasses Pakistan and is meant to improve commerce. Ghani said the aim of the route is to create more opportunities and make Afghanistan an exporting nation. His adviser Sediqullah Mujadedi said Afghan agricultural products will for the first time head to India on cargo planes. 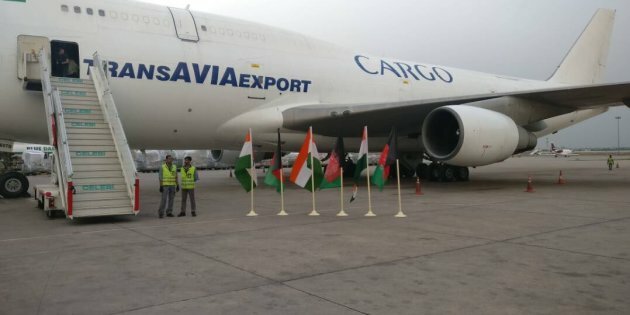 The first India-bound flight on Monday included 60 tonnes of natural plants; a second flight will follow, with 40 tonnes of dry fruits to be sent from Afghanistan’s southern Kandahar province. Mountain-riddled Afghanistan is a landlocked country and all imports and exports depend on neighbouring countries. Relations between Kabul and Islamabad have become strained over accusations of harbouring militants. Taj Mahal Palace in Mumbai becomes first Indian building to get a trademark. 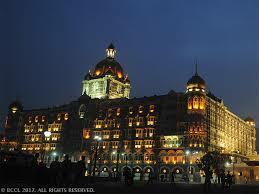 This 114-year-old building Taj Mahal palace is the first Indian building to obtain its trademark. The trademark of an architectural masterpiece has never been attempted since the Trademark Act came into force in 1999 as logos, brand names, sounds etc. The ethereal building Taj Mahal Palace is a breath-taking spectacle. Amid all the hustle and bustle of Mumbai, the hotel stands by the sea as a reflection of luxury, sophistication and service. The hotel, which opened in 1903, is home to 560 rooms and over 40 suites, apart from spas and elite restaurants. Union Ministry for Science and Technology has launched a mobile application “Celebrating Yoga”. Two days ahead of the International Yoga Day, the Centre has launched a mobile app to connect people through Yoga for scientific healthy living. The app was launched by Union Minister for Science and Technology Dr Harshvardhan in New Delhi. Developed by Department of Science and Technology, the app aims to popularise Yoga and encourage people to participate in it for a scientifically healthy living, a ministry release said. Shri Piyush Goyal Launches Energy Conservation Building Code 2017. 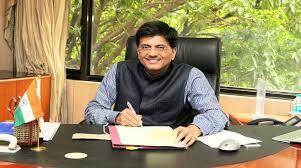 Shri Piyush Goyal, Minister of State (IC) for Power, Coal, New and Renewable Energy and Mines launched the Energy Conservation Building Code 2017 (ECBC 2017). Developed by Ministry of Power and Bureau of Energy Efficiency (BEE), ECBC 2017 prescribes the energy performance standards for new commercial buildings to be constructed across India. The updated version of ECBC provides current as well as futuristic advancements in building technology to further reduce building energy consumption and promote low-carbon growth. ECBC 2017 sets parameters for builders, designers and architects to integrate renewable energy sources in building design with the inclusion of passive design strategies. The code aims to optimise energy savings with the comfort levels for occupants, and prefers life-cycle cost effectiveness to achieve energy neutrality in commercial buildings. 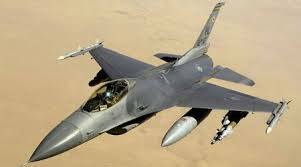 Lockheed Martin Signs Pact With Tata to Make F-16 Fighter Jets in India. US-based aerospace and defence manufacturing firm Lockheed Martin announced on Monday that it will partner with Tata Advanced Systems Limited (TASL) to manufacture and export the F-16 Block 70 aircraft from India. 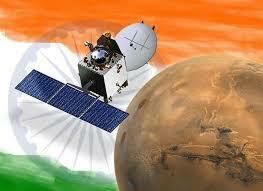 India’s Mars Orbiter completes 1000 days in orbit and is still going strong. India’s celebrated Mars Orbiter Mission (MOM) completes 1000 earth days in orbit on Monday, which is more than 5 times the number of days it was designated to last. The MOM was launched on November 5, 2013 and entered the orbit of the fiery red planet on September 24, 2014, in its first attempt. The feat was lauded globally not just for the mission’s success in its first go but also because it came at a fraction of the cost of similar space missions launched by bodies such as NASA and the European Space Agency. Online financial service marketplace 'Bankbazaar.com' has opened its office in Malaysia. Online financial services marketplace BankBazaar today said it is beginning operations in Malaysia, strengthening its presence in South East Asia. 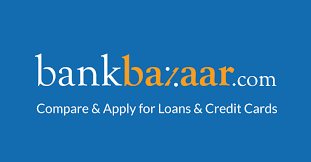 Further, to scale and steer its international operations, BankBazaar has appointed former Visa employee Vipin Kalra to lead the business growth internationally. In line with this vision to expand its foothold across south east Asia, last month, BankBazaar announced an investment of Rs. 5 crore in the Malaysian market and an additional Rs. 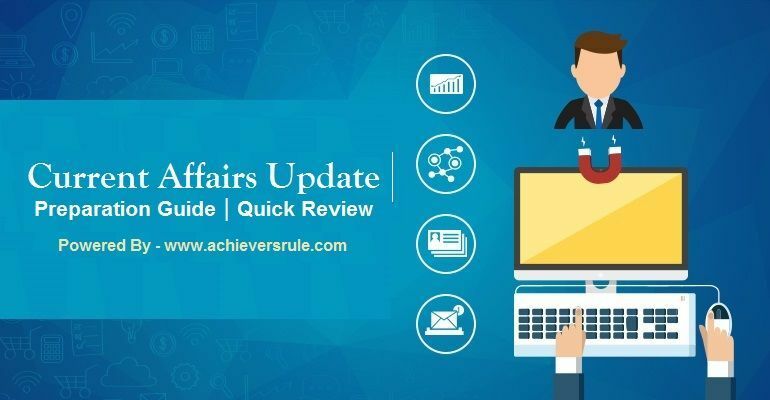 10 crore in its Singapore business.As part of its international expansion strategy, the company also plans to begin its operations across Australia, Hong Kong, UAE and the Philippines over the next couple of years, it said in a statement. Vipin Kalra joins BankBazaar.com from Visa where he held various senior level positions.BankBazaar will deploy a team of 30 people to support its expansion in Malaysia in addition to the 40-member Singapore team. India ratifies United Nations TIR Convention. 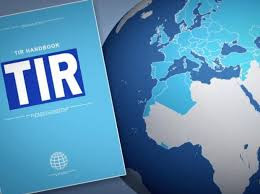 India on Monday became the 71st country to ratify the United Nations TIR (Transports Internationaux Routiers) Convention, a move that will help boost trade through smoother movement of goods across territories. The ratification is a part of India’s multi-modal transport strategy that aims to integrate the economy with global and regional production networks through better connectivity. Indian Wushu team clinches six medals at BRICS Games. 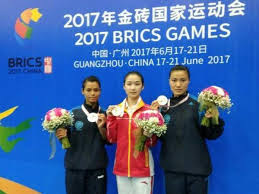 India won six medals -- two golds, two silvers and two bronzes -- in the Wushu competition of the BRICS Games, which concluded here on Monday. Indian Wushu players gave tough competition to Wushu's powerhouses China and Russia with other two teams Brazil and South Africa. Anjul Namdev clinched the gold medal in Changquan overall event, Ng. Toshibala won silver in Women's Changquan event, and Sajan Lama settled for bronze medal in Nanquan allround Event. Predhiman Krishan Kaw, the man who pioneered India's nuclear fusion programme, dies at 69. 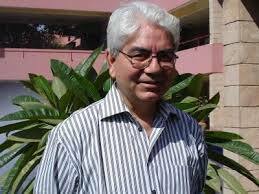 Professor Predhiman Krishan Kaw, the man who pioneered India's nuclear fusion reactor research programme, passed away at the age of 69 on Sunday night in Ahmedabad. Kaw was the founder of the Institute for Plasma Research (IPR) in Gujarat, an institute that made India one of the seven member entities building the world's largest fusion experiment — the $14 billion International Thermonuclear Experimental Reactor (ITER).